It is getting hard to keep up with the sludgefest coming out of Washington DC recently. Yesterday it was David Plouffe claiming the IRS’s targeting of conservatives was not political while calling Congressman Darrell Issa a car thief and arsonist. Robert Gibbs weighed in on Issa as well to cover for his replacement, Jay Carney. Of course, Mr. Gibbs had recently returned from a highly questionable junket to Azerbaijan, so he may have been groggy or out of the loop. This morning comes the revelation that former EPA Administrator Lisa Jackson’s secret alter ego, Richard Windsor, won a coveted “scholar of ethical behavior” award for three years running. Except that Ms. Jackson – Mr. Windsor was working with leftist environmentalist organizations and government agencies to coordinate the EPA’s policies and agenda. This is against the law both for the coverup and for the underlying actions taken outside the public purview. Phony e mail addresses and secret meetings within nominally open agencies sound like plot elements of a bad movie, but now seem to be standard policy. It is the progressive way, it seems. Douglas Shulman, the former IRS director, visited the White House 156 times and there is no accounting whatsoever of what was discussed. There is only a very large stone wall. The same stone wall that has been erected over and over and over by the White House. On Benghazi . 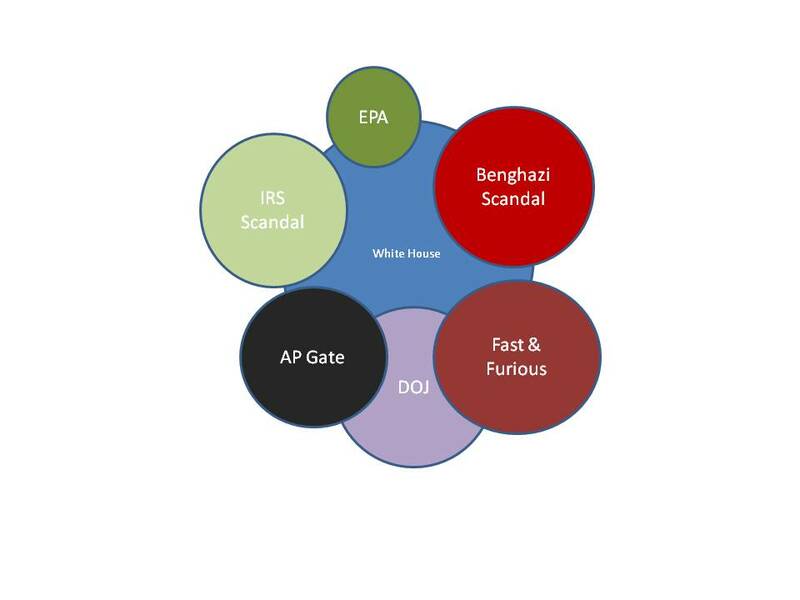 And when Congress subpoenaed e mails and communications between the West Wing and the Department of Justice on Fast & Furious. This resulted in a contempt of Congress citation for Eric Holder which has still not been resolved. Holder is hitting for the bleachers now with his dissembling on the AP/Fox News scandal. It is becoming hard to keep track as the President’s ball of string unravels. The dirty secrets of Obamacare are slamming the public daily. Huge premium increases; fewer health care options, and greater restrictions than ever had been imagined by even the President’s worst critics are all coming to light. The IRS is daring Congress to do something about its criminal transgressions and political vendetta. The Department of Justice with its civil rights scandal, the Fast & Furious scandal, and now AP-Gate has never been more vulnerable. Unless, of course, the crooks get away with it. The was a reason to highlight Plouffe’s mudslinging at the outset. These are the same Chicago-style tactics underlying the past 4 years of government. In your face and with no regard for the law. The Administration’s criminality surpasses both Boss Tweed and Mayor Daley. Crony deals and spitting on the Constitution and common sense are the order of the day. Fifty years from now, the Obama era will be remembered as one of the most corrupt and undemocratic in our nation’s history. And where does it all lead eventually? This entry was posted in Law, Media, Politics, Uncategorized by Matteo X. Bookmark the permalink. Love it! May I suggest you add the HHS Secretary strong-arming the insurance companies she regulates to contribute money to Obamacare advertising? you forgot HHS Sebelius’ solicitaion of the healthcare providers she oversees.